Listen to Mike’s take on racism today. 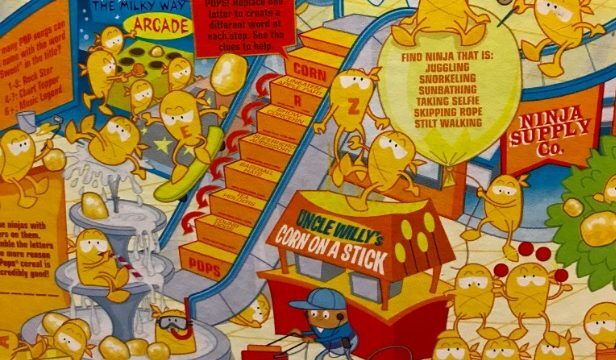 Less than a day after being accused of “teaching kids racism” on Twitter, Kellogg’s has apologized and started the process of altering the artwork on boxes of the company’s “Corn Pops” cereal. What was so racist about the old box? According to novelist and comic book writer Saladin Ahmed, a cartoon corn pop operating a floor cleaning machine is darker than the other cartoon corn pops on the cover of the cereal box. Ahmed’s observation prompted him to tweet the following protest. The Twitter outrage from the artist did not exactly go viral…but the reaction to the response from Kellogg’s is triggering significant response online. Kellogg’s is changing the artwork. Ahmed was pleased. A considerable number of Twitter users found the entire story silly, foolish or worth mocking. @KelloggsUS it's a losing battle. Make all Pops same color and it's not diversity. Make dark Pop a light Pop you took away dark Pop's job. What say you? Is the cartoon racist or not? #VitalQuestion Is the @KelloggsUS Corn Pops box racist? @saladinahmed believed it is…tweeted about it. Kellogg's is changing the box now.